Your data from PC to Phone; Easy, Fast, Affordable! 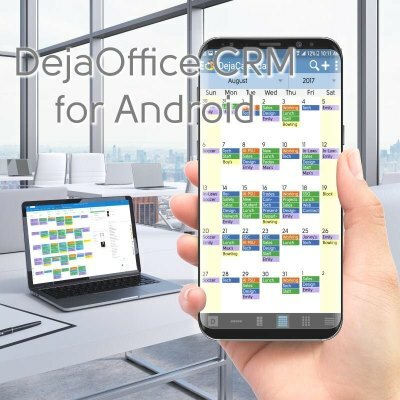 DejaOffice CRM automates your busy schedule. Use it on PC and Phone to track your day. Your Contacts and Calendar are local and secure. 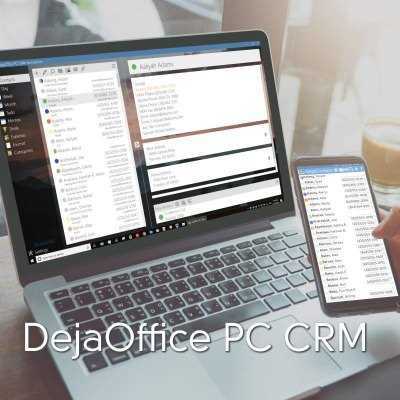 You can use DejaOffice CRM even if your PC or Phone is disconnected. When your device reconnects your changes update automatically. Download free 14 day Trial! Keeps your call list so you and easily call, text, map and navigate to your customer. Keeps your schedule so you can plan your day, do the plan, and remember what happened on a day. Create, Prioritize, and Check Off tasks. Write and store notes to yourself. Color code your schedule and lists, to easily handle your day. Never miss a reminder with DejaOffice persistent alarms. Complete Meetings and Tasks to history stored for each Contact. Use DejaOffice with Franklin Covey 7 Habits A1-B2 priorities, Getting Things Done (GTD), eProductivity, and 4 hour work week. on your Android and PC Desktop. to DejaOffice on your Phone. USB Sync – secure wired sync. Wi-Fi Sync and Bluetooth Sync, - secure sync directly from device to PC. DejaCloud Sync – Flexible cloud based sync for multiple phones and tablets. Map contacts and events – Two taps for directions. Smart Time Zones – When you land, your Calendar is correct. Templates – Set up templates to automate common appointments. 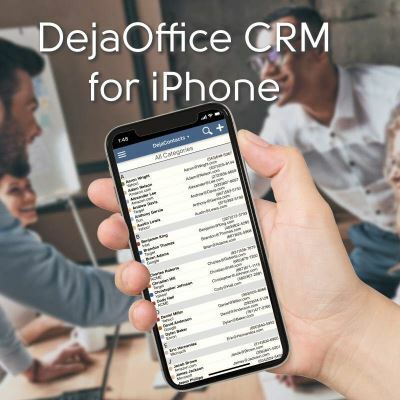 DejaOffice Mobile CRM App on is Free for your Android and iPhone! Sales of PC and Mac Sync products pay for development and support of DejaOffice.